Easily one of the greatest American Modern masters to have ever lived, Edward Hopper is known for his realistic oil paintings of rural and city life in the United States between the two Great Wars. His pictorial masterpieces perfectly depict just how lonely and isolated humans can feel in a modern era despite the fact there are so many of us living here at the same time. By stripping away almost all signs of life or mobility and adding dramatic means of representation with outstanding lighting designs, Edward portrayed the psychological inner life of his subjects. 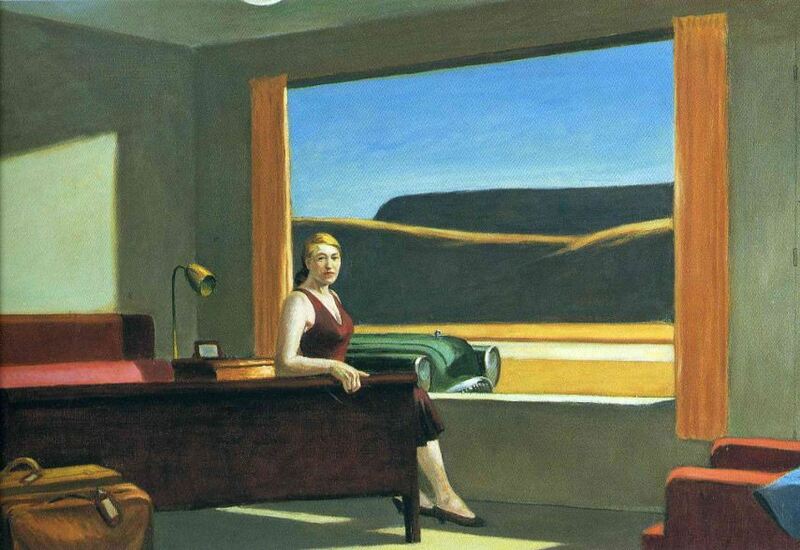 In fact, Hopper’s supreme smooth style and suggestive topics were a mere mirror of the author’s own emotional state and the way he saw the stories surrounding him, as evidenced by his own following statement: Great art is the outward expression of an inner life in the artist and this inner life will result in his personal vision of the world. Edward Hopper was born on the 22nd of July in the year of 1882, in Nyack, a small shipbuilding community on the Hudson River, New York. He was the younger of two children in an educated middle-class family and was encouraged in his intellectual and artistic pursuits by his parents for the majority of his childhood. Young Edward developed his creative abilities during grammar and high school by working in a wide range of media – he formed an early love for Impressionism and pastoral subject matter during these years. His earliest notable work was an 1895 oil painting of a rowboat. Despite wanting to turn painting into a big part of his life, Hopper dreamed of being a nautical architect during his school days. After receiving a diploma in 1899, the artist briefly participated in a correspondence course in illustration before enrolling at the New York School of Art and Design, where he studied with teachers such as impressionist William Merritt Chase and Robert Henri of the so-called Ashcan School. 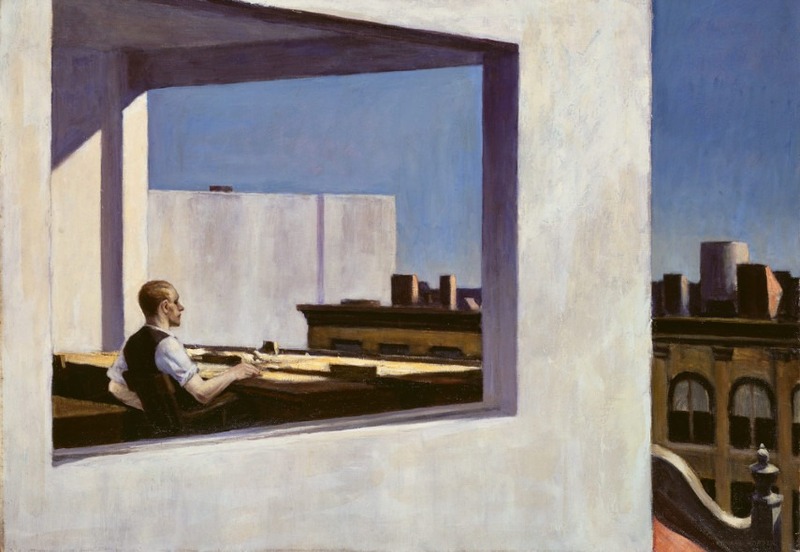 As he was being taught by the representatives of the Ashcan School, Edward Hopper was naturally learning a lot about the main ideas behind this pivotal movement of American art history – his teachers insisted on realism in both form and content. 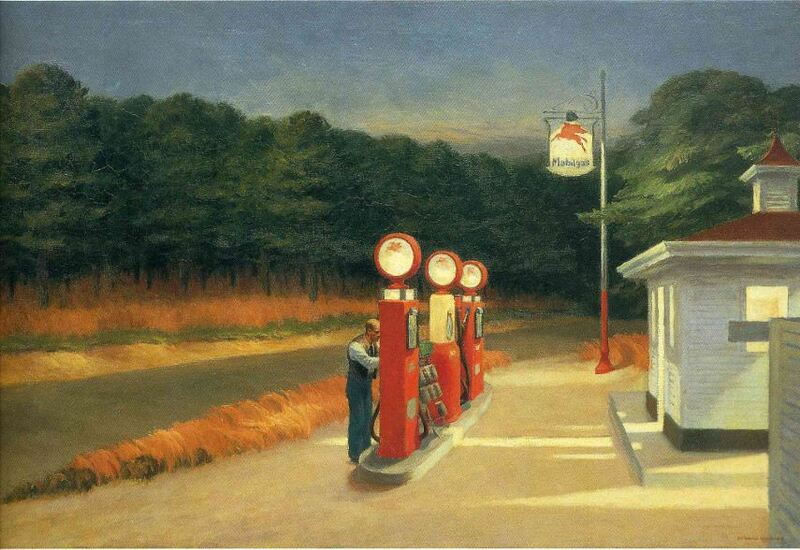 After completing his studies in the year of 1905, Hopper found work as an illustrator for an advertising agency. This will be the primary means by which he would support himself while continuing to create his own art – however, Hopper himself admitted that this kind of work was quite creatively stifling and unfulfilling. Nonetheless, the advertising agency he worked for paid good money and Edward was able to make several trips abroad during this time of his life. He traveled to Paris on a few occasions and visited Spain as well. 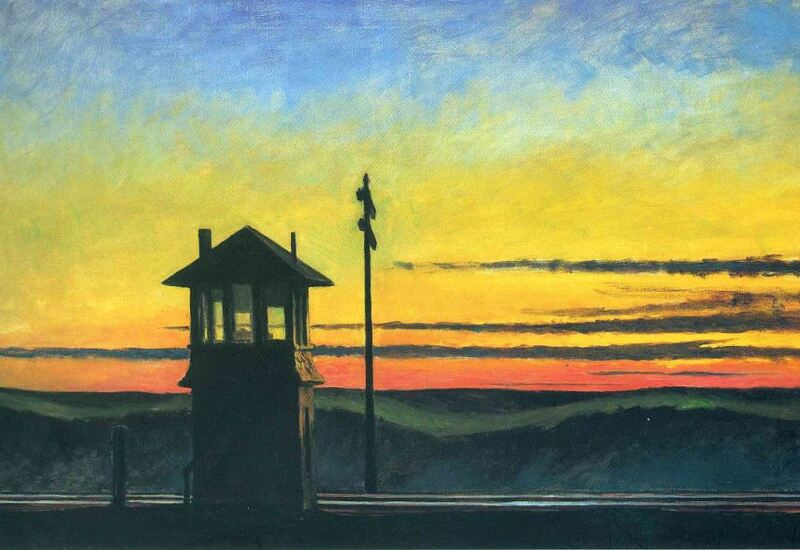 These experiences eventually proved to be quite pivotal in shaping his personal style as witnessing all the visual grandeur of European Masters served Hopper exceptionally well in the long run. Despite the growing popularity of abstract movements such as Cubism and Fauvism in Europe, Hopper was most impressed by the works of the then already iconic Impressionists, particularly by the works of Claude Monet and Edouard Manet due to their treatment of light. Trying to adopt the way Claude Monet and Edouard Manet used and manipulated light, Hopper painted a few pieces using a similar style, such as the Bridge in Paris (1906), Louvre and Boat Landing (1907) and Summer Interior (1909). After he came back to the United States of America, Edward returned to his illustration career but also began to exhibit his own art made during the time spent abroad. He was featured in the Exhibition of Independent Artists in 1910 and the international Armory Show of 1913 where he sold his first painting titled as Sailing (1911). These shows were a big nod towards the young and aspiring author as his paintings were displayed alongside those made by Paul Gaugin, Henri de Toulouse-Lautrec, Paul Cézanne and Edgar Degas. Soon after that, Hopper moved to an apartment located on the Washington Square in New York City’s Greenwich Village, a place where he will live and work for the remainder of his life. He spent a lot of time in New England as the local picturesque landscapes naturally provided ample subject matter for his impressionist-influenced paintings. The best pieces made in this area were Squam Light (1912) and Road in Maine (1914). However, despite a flourishing career as an adds illustrator, Hopper rather struggled to find any real interest in his own art as the creative fire stubornly avoided him during the 1910s. Alongside the arrival of the new decade came a reversal of fortune for the seasoned Edward Hopper. 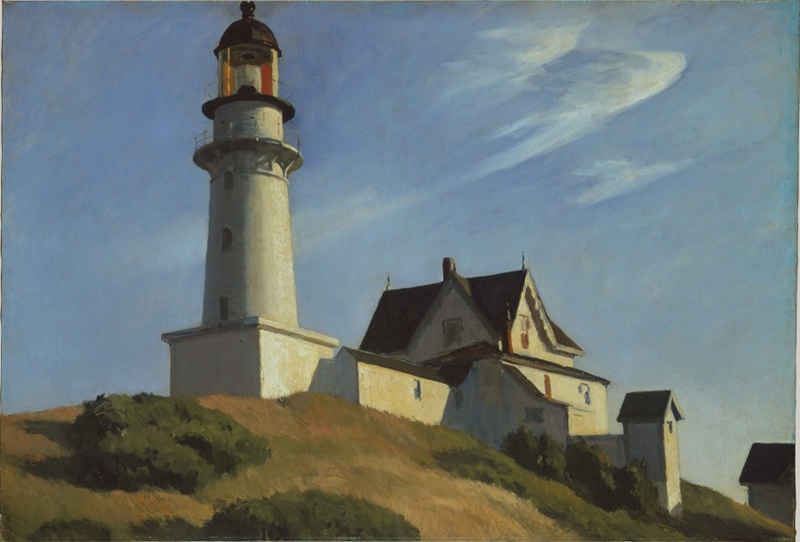 In 1920, at age 37, the painter was given his first one-man show, held at the Whitney Studio Club – it featured a collection of Hopper’s paintings of Paris. Three years later, Edward reacquainted with Josephine Nivison, a former classmate of his who was herself a fairly successful painter as well. Soon, the two got married and quickly became inseparable, often working together and influencing each other’s styles. Josephine Nivison insisted that she must be the only female model for her husband’s works, so many of Hopper’s paintings made after 1924 are inhabited by depictions of his wife. Josephine Nivison was also instrumental in Hopper’s transition from oils to watercolors. This will prove to be a great career choice as all of his watercolors were being sold almost at same moment they were put on view in a gallery and this newfound success allowed Hopper to finally quit his dreadful illustration work. Finally able to fully support himself by making artworks and not chained anymore to creating adds, Hopper produced his greatest and most lasting work during the second half of his life. He continued the practice of traveling around the USA in order to paint on spot. Many artworks were made in such a fashion, like The Lighthouse at Two Lights (1929), New York City Automat (1927) and House by the Railroad (1925). Edward had a tendency to leave out the main aspects of a pictorial narrative, forcing the viewer to use his or her imagination in order to complete the narrative. This element of his art would have major repercussions on the development of postmodernism wherein the audience has a major role in the understanding of the artwork. Soon, Edward Hopper was not able to create enough paintings to meet the ever growing demand of the art community that was starting to be obsessed with his work. He became a star of the US scene and was often used as an example that was meant to demonstrate the value of the American art when compared to the work of the Europeans. 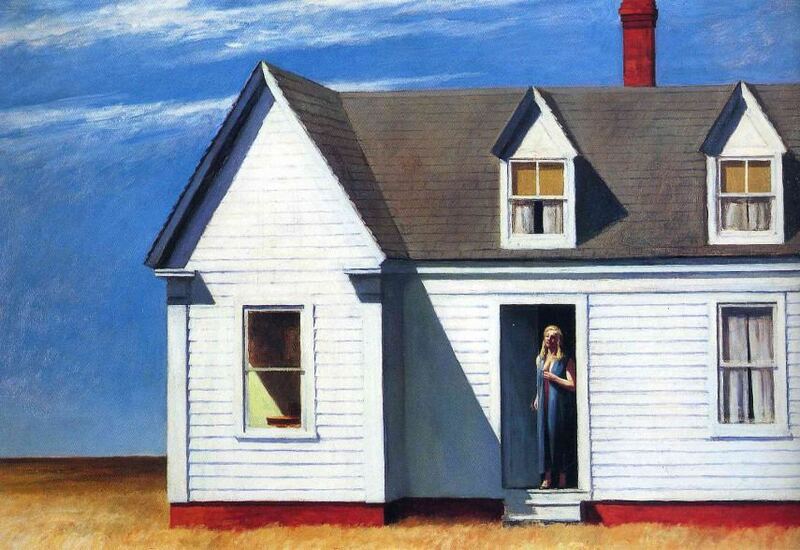 Despite the overwhelming success he was enjoying at the time, some of Hopper’s finest work was still to come. In 1939, he completed New York Movie, an image that pictures a young female usher standing alone in a theater lobby, lost in thought. In the January of 1942, Edward completed what is his best-known painting – Nighthawks. This piece featured three patrons and a waiter sitting inside a brightly lit diner on a quiet, empty street. 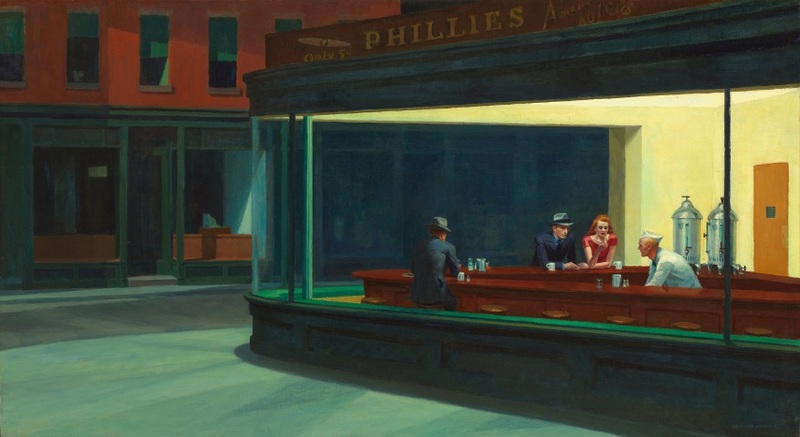 Nighthawks will soon become a symbol of loneliness and solitude in a modern era that by all the logic in the world should not have so much individuality and isolation as it actually does. Nighthawks‘ status as Hopper’s most representative work was underlined by a stark composition, masterful use of light and a characteristic mysterious narrative quality. It was purchased almost immediately by the Art Institute of Chicago where it remains on display to the present day. With the rise of Abstract Expressionism near the middle of the 20th century, Hopper’s popularity faded – however, he continued to create quality work and receive critical acclaim for the remainder of his life. Pieces like the Hotel Window (1955), New York Office (1963) and Sun in an Empty Room (1963) all display his characteristic themes and features. Unfortunately, all of these were created as the artist’s health was gradually worsening, crippling his productivity severely. 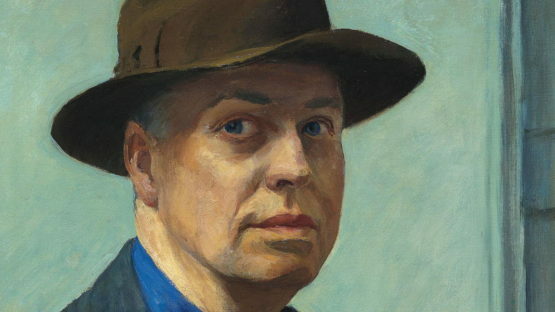 Edward Hopper died on May 15, 1967, at his Washington Square home in New York City at the age of 84. His wife Josephine died less than a year after him and bequeathed all of their art to the Whitney Museum. Edward Hopper defined what the style of the 20th-century realism should be like with his austere, borderline eerie scenes that conveyed the alienation and isolation of modern life. He adapted the norms of the modern era to the avant-garde visual standards, all the while paying tribute to the older figurative painters. Additionally, Hopper’s paintings became a close-to-home national symbol of urban alienation within art making practices, one of the first references that come to mind whenever a discussion concerning artistic depictions of loneliness occurs. No one captured the isolation of the individual within the modern city like Edward did with his paintings and these artworks were, in many ways, responsible for paving the conceptual road towards Abstract Expressionism, bridging its ideas with the concepts of the contemporary Ashcan School.